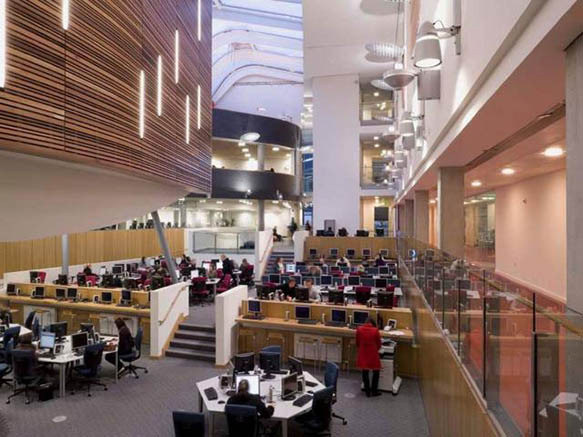 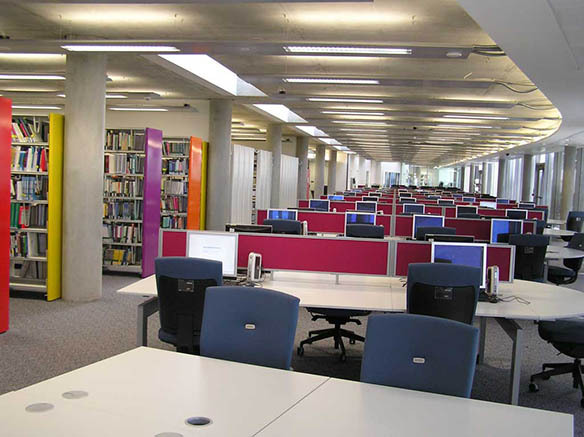 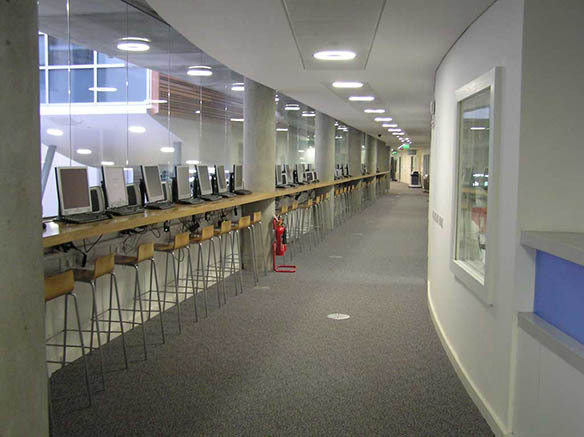 The Learning Resource Centre is at the heart of the Queen Margaret University's new campus. 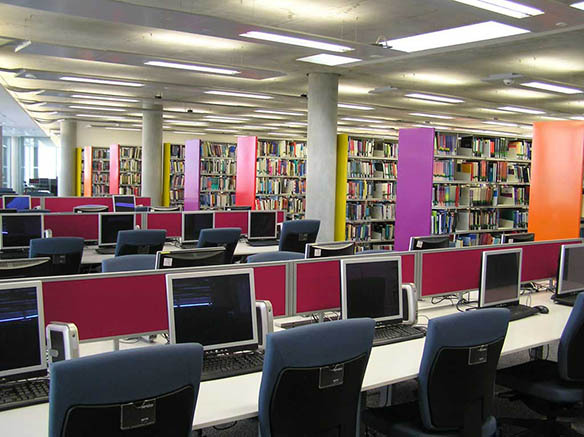 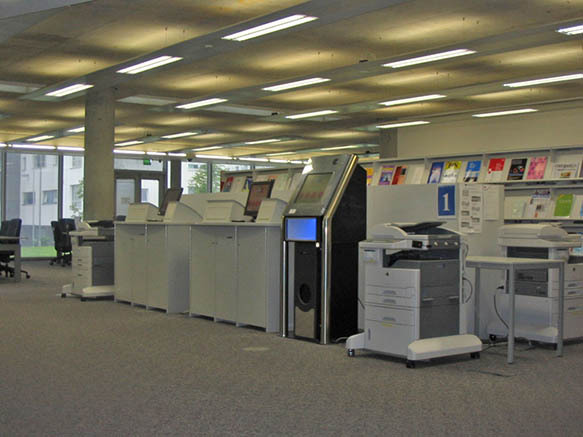 There are many different types of places to study - for example, users can choose to study in groups or find a quiet place to plug in their laptop, or use one of the many thin-client terminals. 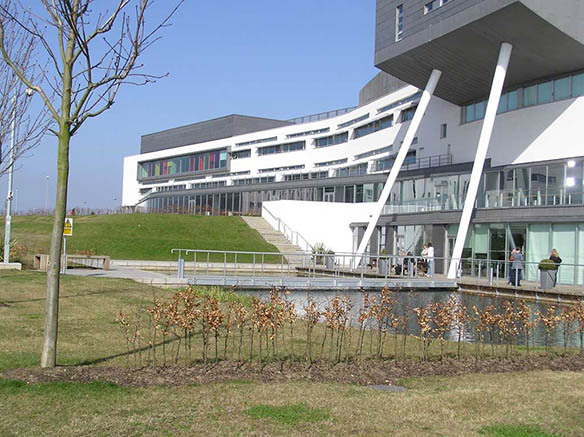 Designed with sustainability in mind, the innovative use of natural light and an eco-friendly heating system, the campus provides a welcoming atmosphere for students, staff and visitors.